Do you ever have vegetables you have no idea how to use them up quick enough? Kale is one of those veggies in our home. It’s a green veggie that is supposedly a super food and so that is exactly how we use it up at our house; in soup! One of the greatest of all soups, Zuppa Tuscana! My husband could eat this soup everyday and quite frankly, I probably could to. 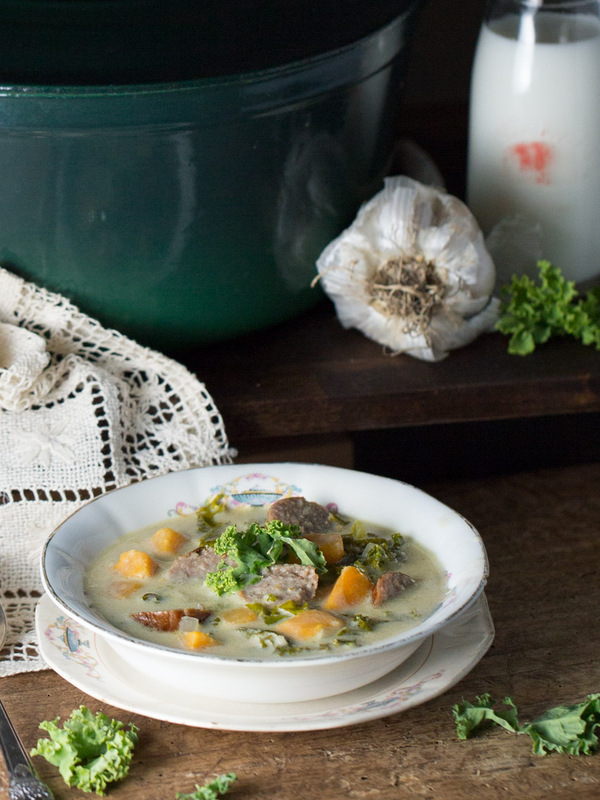 If you are a fan of a creamy, meaty, veggie soup this Italian based meal is for you! So, the first time I bought Kale I looked at it and thought, “How do I use this?” I wasn’t sure if I should treat it like broccoli or lettuce? Or if it was good cooked, or raw? It was a mystery for me when I started using it. Want to hear some tips on how to better use and pick your Kale, well, here you go. 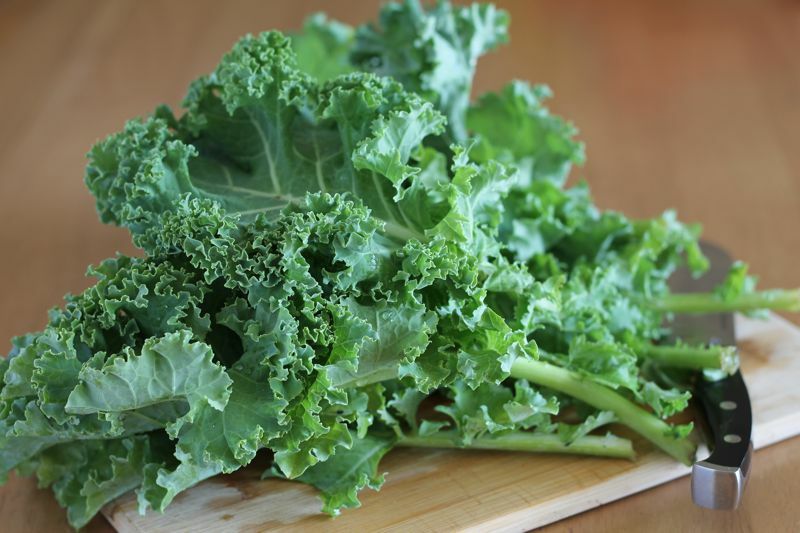 • Best Time To Buy: Though it’s available year-round, kale is best in the winter, when frost makes its flavor sweeter. • Choosing Kale: Leaves should be dark green & frilly. They should have some “spring” to them. • Bad signs: wilted, yellow or brown spots, dry leaves. • Storing Kale: Keep unwashed kale refrigerated in an airtight container for 3-4 days. • Reviving Limp Kale: Trim the stems & soak in tepid water for about 5 minutes. Voila! • Cutting kale: First, grab the bottom of the stem and pull off the leaves with your hands. Stack leaves on top of each other. Roll into little bundles (like you would with basil, for example) and cut to your desired size. • Reducing Intense Flavor: Kale that’s been massaged with oil and lemon juice will reduce its intense flavor. This method is great for introducing the dark leafy green to kale newbies! Another kitchen food that I seem to forget about and not use up is my garlic cloves. I often use one and then I forget about the rest of the cloves and it goes bad. Hurray to the great Zuppa Toscana again because it also uses garlic cloves. 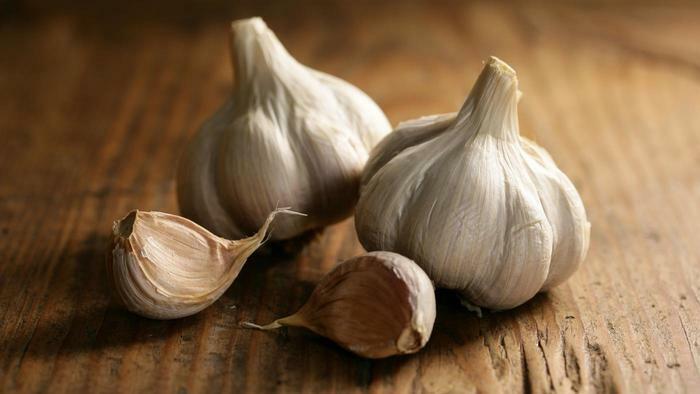 Have you ever gotten frustrated pealing a clove of garlic? Or wish you had a quick way to mince it? Well, here is a remedy for those kitchen questions. • Knife Edge: Take a clove and set it flat side down on a cutting board. Cut off the end hard piece. Place the flat side of a knife on the clove and push down firmly. You should hear a crunch. Peel away the skin and waste with your hands. • Microwave: Remove the cloves you need from the head. Put garlic cloves on a plate and microwave for 5-10 seconds. Take out and cute away the loose remaining skin. 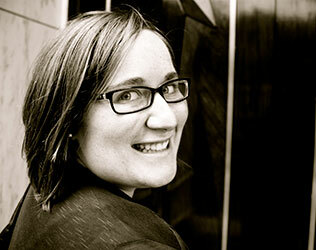 • Shaking: Place the entire garlic head (or your desire pieces) into a stainless steel bowl. Cover the bowl with another identical stainless steel bowl. Holding the two bowls tightly together, shake away! Maybe include some Italian tunes while you shake :), 1-2 minutes. • Fork Method: Mincing several cloves at once is one thing, but if you only need one or two cloves, you can leave your knife in the drawer. Mincing garlic with a fork makes the job quick and easy. All you do is peel the garlic clove and then press it with the tines of a fork. Scrape off the fork and press the clove again in the other direction. Repeat as many times as necessary until the cloves are as minced as you'd like them, and then pick out the hard stem-nub. • Salt Tip: When mincing your cloves of garlic sprinkle a little bit of salt on it as you cut. This little chef’s trick will help to keep the garlic from sticking to your knife! • Rock the Blade: If using a knife to mince your garlic, simply rock the blade. Don’t take your knife off that clove, just rock away! After a little practice this technique should only take you about 30 seconds per clove. So there you have it. 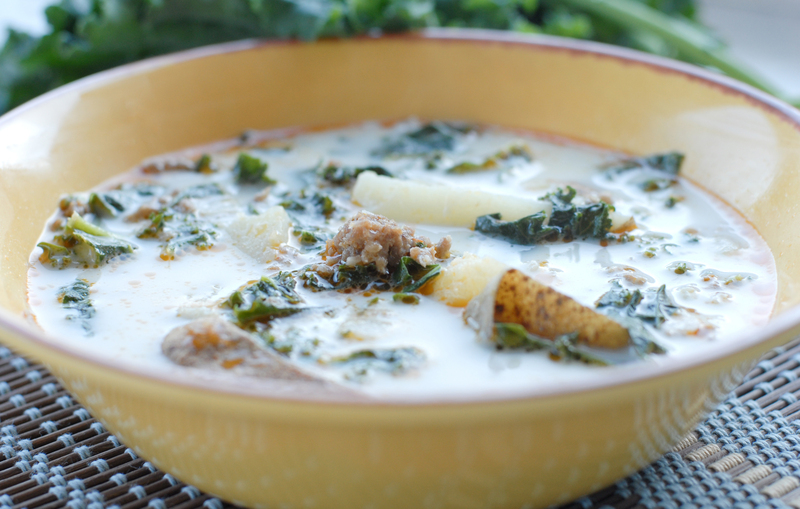 Two awesome ingredients in the great Zuppa Toscana and some tips and tricks to use them easier. Do you have some clever kitchen tricks that help you in your cooking? We all love getting a meal made quicker and easier, so share away! 2. Brown sausage, bacon and onion in your soup pot. 4. Add chicken bullion and water to pot and stir. 5. Place potatoes in the pot. 6. Cook on medium heat until potatoes are done, about 5 minutes.